If you admire ancient mesmerizing architecture and glorious history then our 4 days Cairo and Aswan tour is the vacation you are looking for. Cast your eyes on some of the most magical monuments in Egypt such as the extraordinary Giza pyramids complex, the great sphinx, and the enchanting Egyptian Museum, then move to the city of beauty ”Aswan” where you will cast your eyes on the hypnotic unfinished obelisk and the magnificent Philae temple. Tour Location Will Be In Cairo & Aswan. Tour Duration for 4 Days / 3 Nights. After your arrival in Cairo, our employee will meet you at the entrance gate upon your arrival, and take you to your 5*hotel in Cairo after assisting you in finalizing all the necessary paperwork. In the evening, you will board a unique dinner cruise then you will back to the hotel. In the morning, you will begin your 4 days Cairo and Aswan tour by paying a visit to the immortal Giza Pyramid Complex that dated to the 4th dynasty between 2580–2560 BC and holds one of the Seven Wonders of the World The Great Pyramid of King Khufu which is the biggest pyramid in history, the oldest statue in history and the protector of Egypt The Great Sphinx, and the mesmerizing ”Valley temple” where the mummification process took place. 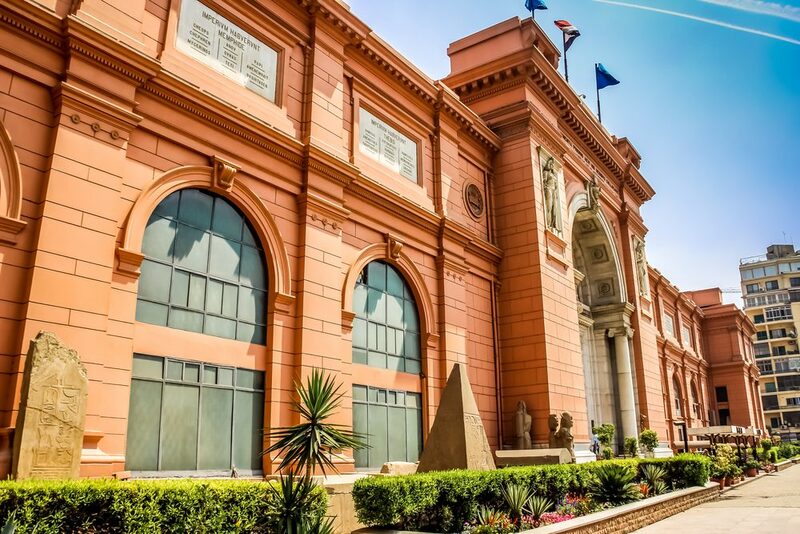 Have Your Lunch, then move to the magical "Egyptian Museum" which contains more than 120,000 rare priceless artifacts. Catch your flight to your 5* hotel in Aswan and overnight. 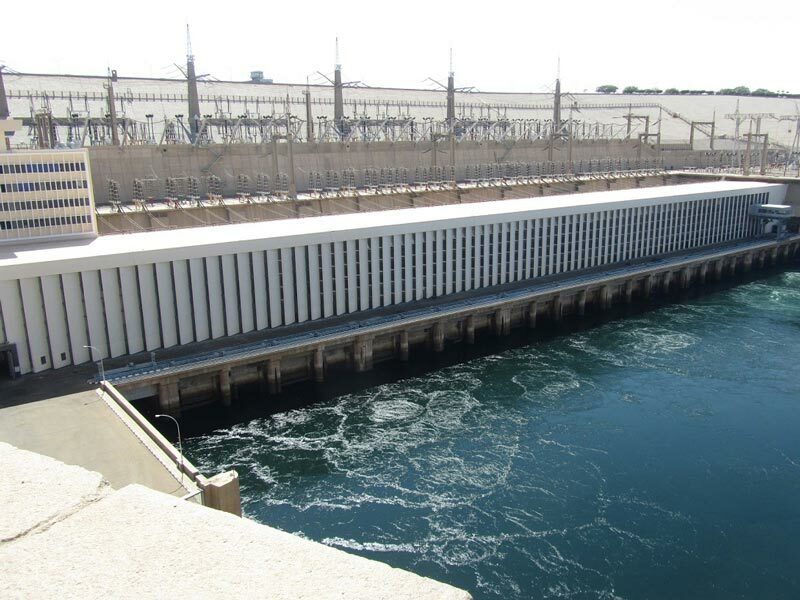 Have your breakfast, then follow your guide to The High Dam which was built between 1960 and 1970 across The Nile and had a positive effect on the economy and culture of Egypt. 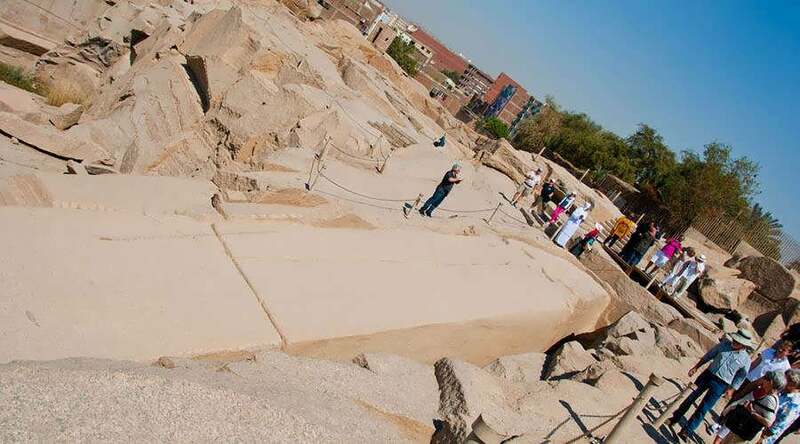 Continue with your tour to The Unfinished Obelisk which is the largest obelisk ever built by an order by (Queen Hatshepsut) as its height is 42 m and weighs 1.200 tons. 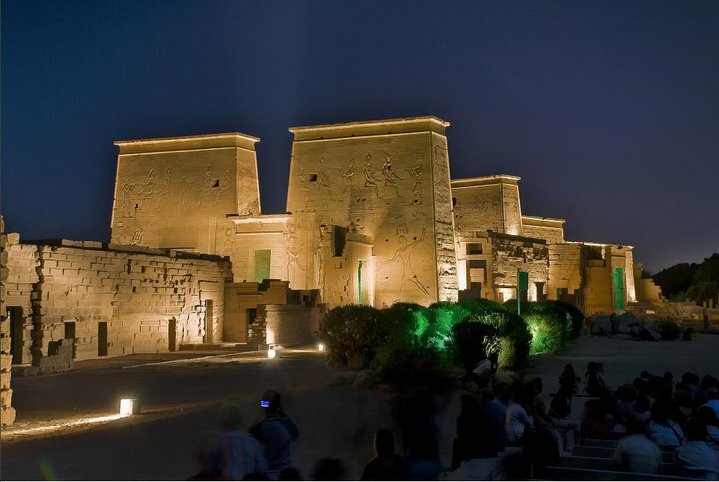 Have your lunch, then move to The Philae Temple which was built to honor many gods like 'Isis' and 'Hathor', and contain many stories about Osiris and Horus", also in 1960 the UNESCO relocated the entire complex to the "island of Agilkia" to escape the dangers of the Nile floods. Then we will transfer you to the Aswan airport to catch your flight to Cairo and overnight at 5* hotel. Morning time, enjoy your breakfast at your hotel, then our employee will transfer you to Cairo airport and finalize your departure formalities to end your trip. 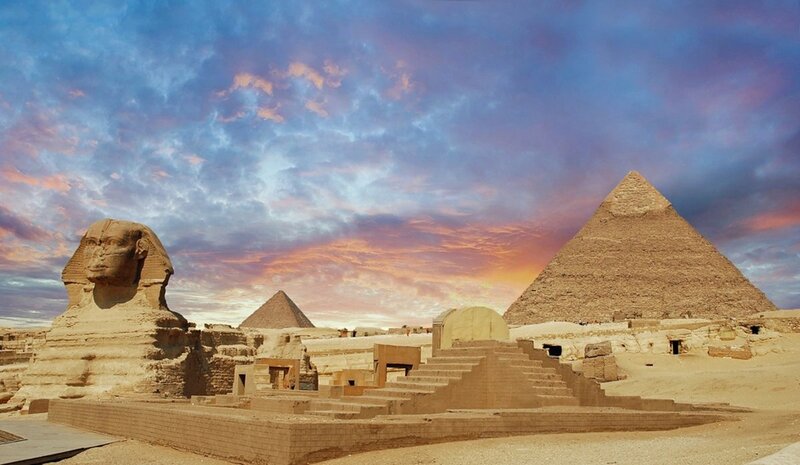 A private Egyptologist tour guide through your tours. All the transportation will be by a private A.C car. Flight tickets from Cairo to Aswan and from Aswan to Cairo.